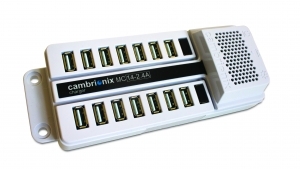 A powerful iPad charging hub that provides a full 2.4A to each of the 14 ports! This hub is perfect for the most power hungry mobile devices, charging more quickly than other less powered hubs. It is perfect for convenience charging, tech centers, service depots, trade shows and institutional users. The DS-MC16-2.1A can charge up to 16 devices at the same time. 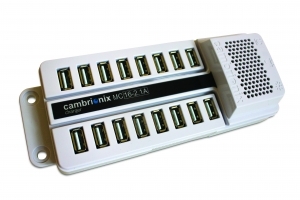 All 16 ports provide 2.1 A each. 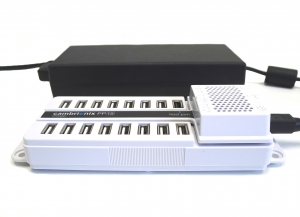 This professional USB hub is designed to support USB charging of iPads, tablets and smartphones. The DS-MC16-1.5A can charge up to 16 devices at the same time. 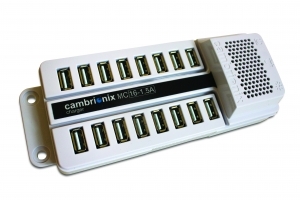 Perfect for most lower powered devices, such as smart phones, cameras, etc.. 16 ports each get a full 1.5A.